Well, it's that time again. Time to announce another lucky tweeter or is that tweeterer of the prestigious Tales Tweet of the Week award. This is a first time winner, but I predict, not a last time winner. This is one of my favorite people, but you have to trust me on this, I had no influence in this decision, which was made by the Tales esteemed law firm, Wee, Cheatem and Howe. This man is a conservative pundit and journalist, editor of Townhall.com, a contributor on The Fox News Channel, a many time guest and sub host of the Hugh Hewitt radio talk show, and co-author, along with Mary Katharine Ham, of "End of Discussion." 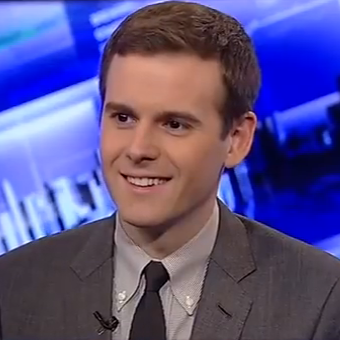 The man, the winner...Guy P. Benson, who on twitter has the ingenious handle, @GuyPBenson. Guy sums up perfectly an amazing situation when you think about it for the "new" and diverse, GOP. The Democrats like to say they are the party of diversity, but I think we are seeing the real party of diversity just may now be the Republican Party.